Microsoft makes it to the top 5 PC makers in US! Microsoft in top 5 PC makers of the US. Microsoft makes it to the top 5 PC makers in the US market! Holding 4.1 percent of US PC market share, Microsoft makes it to the top 5 PC makers. The is a huge success for Microsoft as it is the very first time that Microsoft made it to Top 5. Thanks to the New Surface devices, Microsoft replaced Acer at the 5th spot. Acer and Asus have still managed to grab the 5th spot worldwide. Therefore, Microsoft still needs to do a lot more before making it to the top 5 worldwide. According to the press release, Lenovo managed to secure the 1st spot worldwide with its splendid PCs. The report gives an insight into the PC market trends worldwide, showing an estimated increase of 0.1 percent from 2017 to the end of 2018. The Report counts windows based tablets and PCs to put the stats straight. Further reveals show that there has been a decline in the PC market for 6 years which seems to be leveling out now with an increase of 0.1 percent this year. The PC demand is driven by the hardware update necessary for windows, which is expected to continue till 2020. Therefore, we hope that the PC market would get better by 2020. The stats reveal that Lenovo, DELL, and HP have secured a sustainable position worldwide whereas Apple, Asus, and Acer are facing a tough time. It won’t be wrong to say that Microsoft’s latest surface devices have played a huge role in getting Microsoft to the top 5 PC makers in the US market. The new Surface Pro 6 Surface Laptop 2 and Surface Headphones have created a hype in the market. Microsoft is extending its Surface line. Surface seems to become the hot seller for Microsoft with Surface revenue going up to 25 percent, giving a $1.1 million dollar business to Microsoft (reported in Q4 earnings). 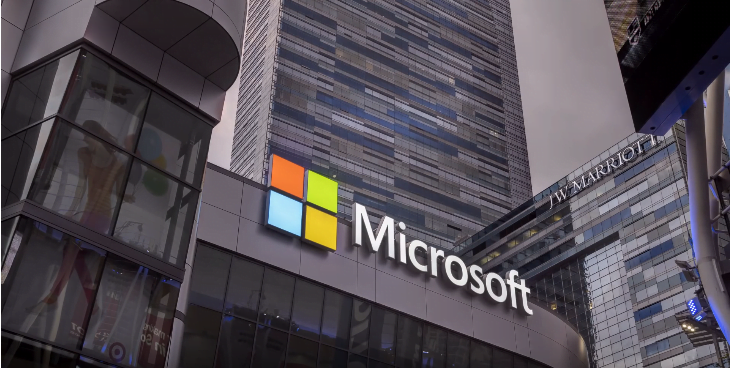 Can Microsoft make it to the Top 5 Worldwide by 2020? Let us know what you think in the comments section below!